Earlier this year, Senator Jim Webb introduced a bill in the senate to establish a committee that would study the need for reform of the entire criminal justice system. His announcement came with a considerable amount of media attention. Parade magazine featured a front-page spread, and numerous other national publications publicized the proposed legislation. Over the past several months, however, I haven’t seen any developments with regard to this pane, and it saddens me. I understand that Americans are inundated with concerns—health care, two wars with no end in sight, and high unemployment rates—that affect millions of American families across the nation. I share those concerns. Yet as Senator Webb wrote when introducing his bill, our country incarcerates 2.3 million people. That’s more than any country in the world. Either Americans are the most evil people in the world, or we’re doing something wrong. My release isn’t scheduled for about four more years. I have a responsibility to serve these four years, though I feel my country needs me now. I’d like to follow the leadership of the former governor of Alaska, and “resign” from my responsibility so I could pursue the greater vision of contributing to America. If I could resign from serving the rest of my term—as Governor Sarah Palin did—I would work tirelessly to reform our ridiculous system of justice and advance it to a smarter criminal justice system. Public institutions that provide health care, education, and other social services need an effective voice to refute the loud voice of the prison industrial complex. As lobbyists call for more wasteful spending on the prison system, Americans who need access to social services continue to suffer. 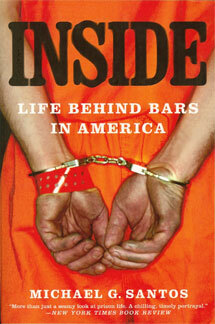 Billions of dollars that should flow to health care, education, and social services are diverted to the prison system.